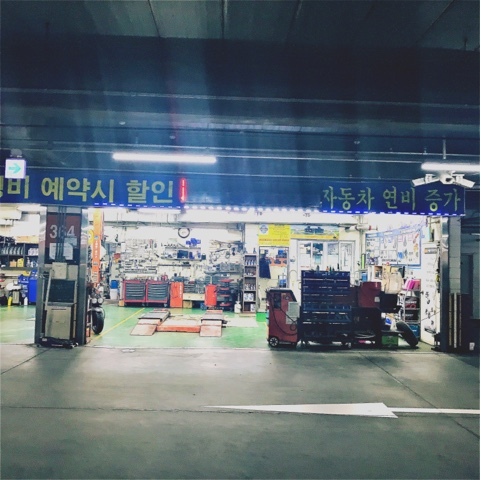 Everyone knows that box stores like Emart, Homeplus, and Lotte Mart are where you go for all your foreigner specific grocery shopping needs - but do you REALLY know everything they have to offer? Do you realize how super easy they can make your life? 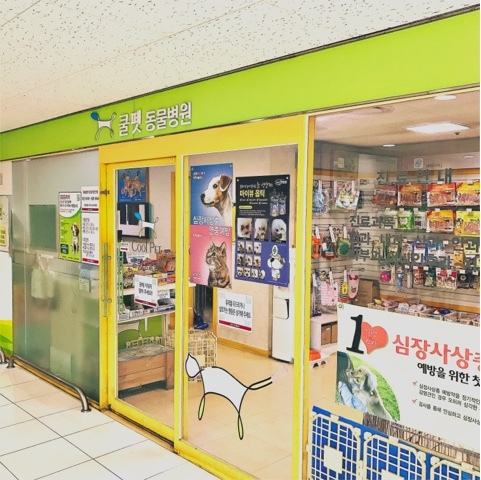 These facilities are true one-stop-lifestyle-shops that will make a person's life (especially a parent's life) in Korea extremely simple and efficient. 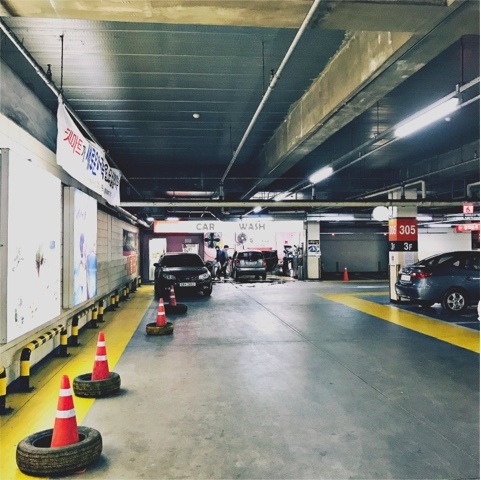 Yes, the first time you use some of these services it might feel uncomfortable because of the language barrier, but the pay off is immense when you can do nearly all the important stuff in one building that includes free parking. 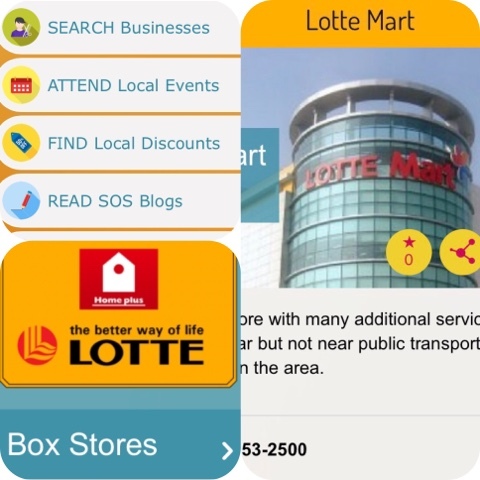 Let's look at Lotte Mart in Pyeongtaek to give you an idea of how efficient these facilities are. This is an overview. 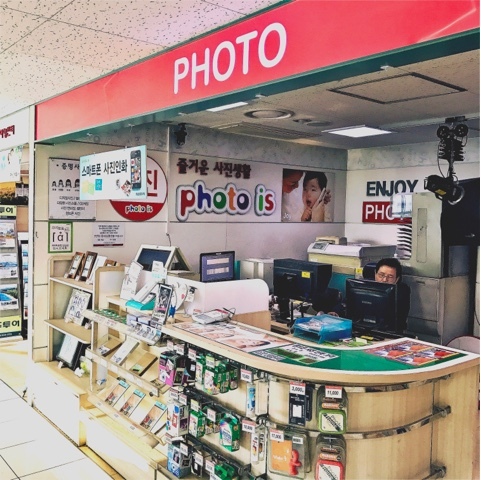 I've not detailed prices or visited each place and tried their services individually, mostly because I tend to visit the stores closer to my home. 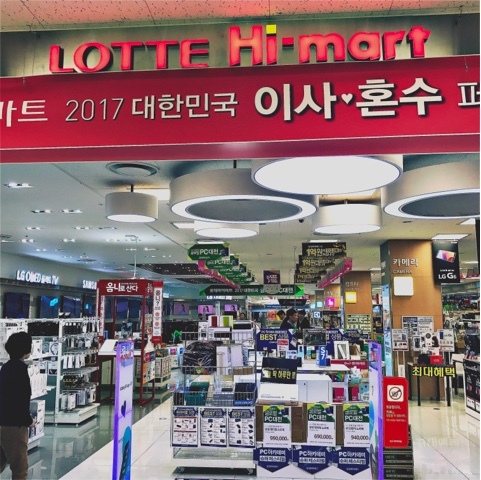 However, Lotte Mart is comprehensive and easy to access so it deserves the attention so here we go. 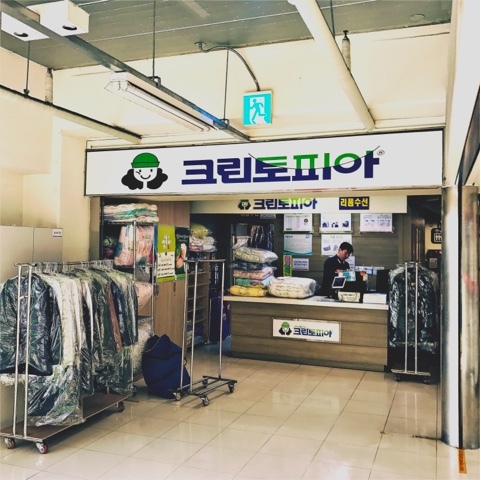 If you aren't feeling well they have a family clinic tucked away behind the escalators in the basement of the Pyeongtaek Lotte Mart. 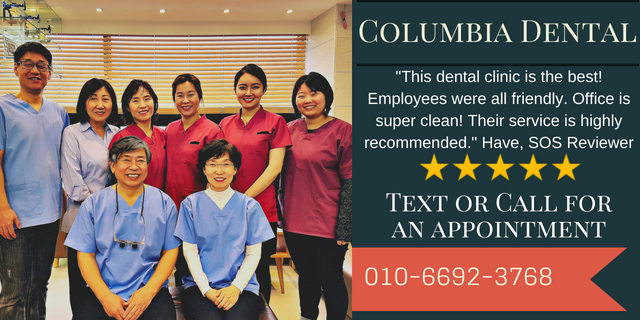 It offers pediatrics, ear nose throat, and internal medicine. It's family themed, but anyone can feel free to stop in for a quick checkup. Truly amazing. After you are finished with the clinic, you can run upstairs and fill your prescription at the pharmacy. Also, as a generally fyi, you can also pickup affordable, over the counter birth control with no prescription necessary (6,000-10,000 won). 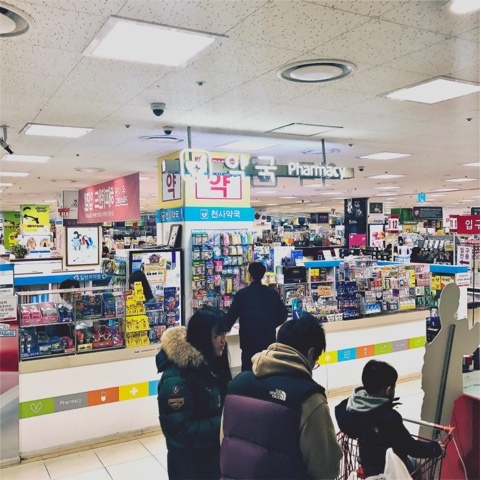 In Korea, standard birth control is not Dr prescribed and it's extremely affordable. 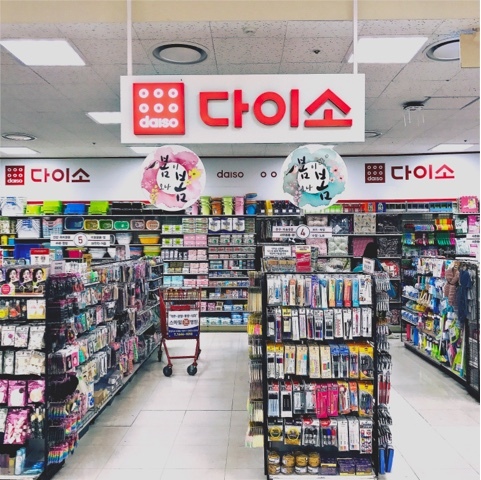 In the basement, next door to the clinic you will find a small, efficient little Daiso where you can save that money. Daiso is life. Are you looking for some electronics, a new refrigerator,or a heated blanket? 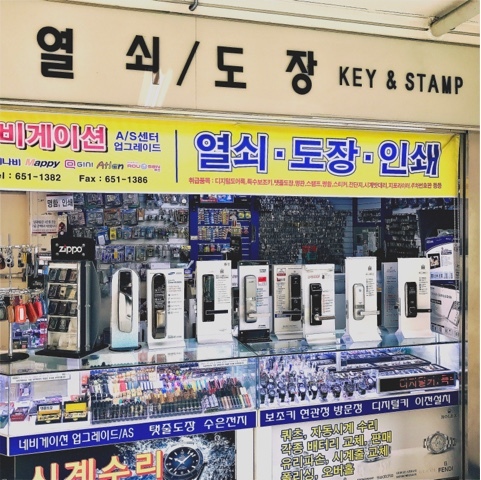 This popular electronics shop has a small store with rice cookers, pressure cookers, printer ink, cell phone chargers, and HDMI cables and many other things you need to stay connected. Maybe your glasses just broke, your prescription is outdated, or you need new contacts? Just stop in and pickup some replacements. 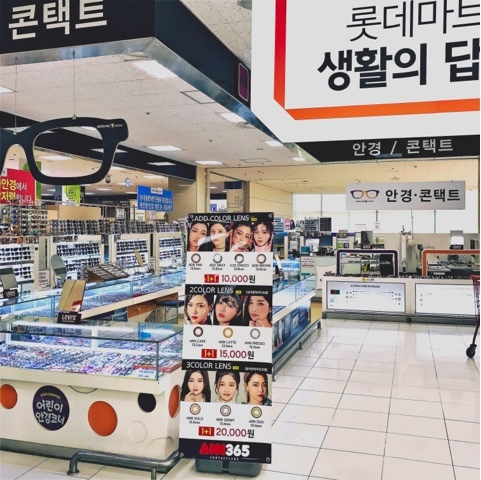 In Korea your eye exam is free when you get new frames or lenses and your glasses can be finished in about 15 minutes. You can also usually find a lovely pair for glasses for around 60,000 - 80,000 won so get two pairs if you feel like it. Sometimes prescription lenses can take up to 7 days, sometimes you can go home with them same-day. One of the coolest parts of box stores are these centers that run affordable programs for adults and kids. I personally have often taken dance classes in these centers because they have parking, classes in the evenings, and prices that fit my budget. For parents and kids they offer a plethora of programs that often including pre-school or daycare type programs. The program catalog is in Korean, but join a language exchange and you can usually find a lovely friend to help translate it. Seriously, these centers are awesome. 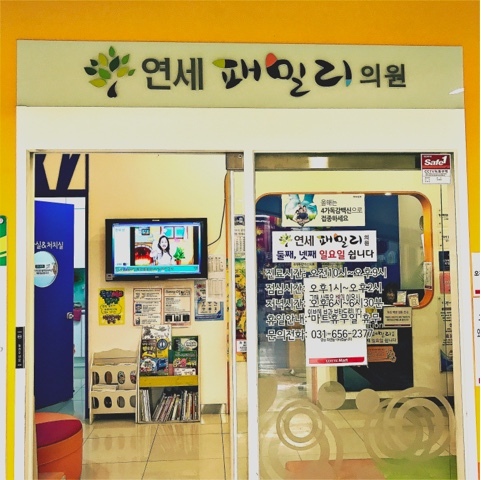 I used these programs long before I spoke Korean (friends helped me signup for things, or the lady at the front desk walked me through signup via google translate). Everyone was always welcoming and helpful and (in may case) there was always somebody who spoke some English in class who helped me keep up. If your car is a hot mess like mine often is, you can leave it to get cleaned up while you shop. It's a perfect use of your time and keeps the ride looking like new. It's just sitting around collecting dust while you shop anyway. Maybe your car needs a new battery, the oil changed, brakes checked, or fluids topped off. You can leave it with the mechanic while you grab your groceries for the week or pickup a new pair of glasses. If you are like me and often lose keys, this is a handy place to know about. I think we can all agree that dry cleaning is annoying, but it takes out the sting when it's this easy to drop-off and pick-up. You will be coming and going from here anyway, why not just keep it simply and use the dry cleaners at your favorite mart? When you live abroad you need passport photos for everything. Maybe you have an appointment at immigration coming up or you are applying for a Chinese visa. You can solve that problem on your next grocery trip. Some of us have fur babies and we need convenience as well. One of our dogs was fixed by a vet in a box store. It was affordable and worked out well. We also find it an easy place to pickup heart worm, tick meds, or special things we need for the puppies. So, you've dropped off the car to get washed, the kids are in playcare, your glasses are ordered, you visited the ENT picked up your meds, picked up new heartworm for the dog, and dropped off the clothes at the cleaners. Time to treat yourself. 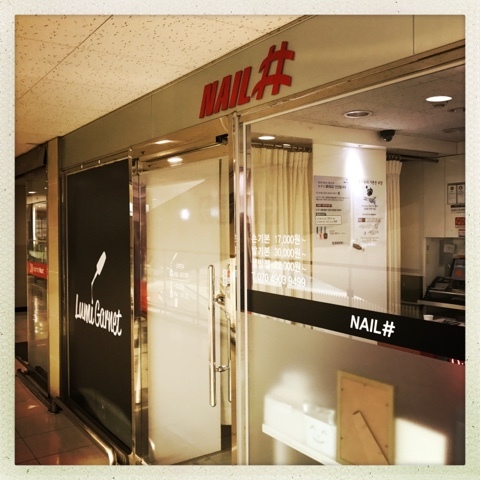 Why not get a manicure? It's here and you've got the time. Maybe you don't need your nails done, but it's been a while since you have treated yourself to a haircut. Take the time to stop off and get a touch up. Usually these places are reasonably priced, modern, and often have happy-hour specials on cuts and colors. Maybe your hair and nails are on point, but your skin isn't looking so bright. Maybe you need a facial. They have that here. A little google translate and you will be on your way to a fresher face. You have been a rockstar and accomplished more today than you thought humanly possible, but you are also exausted because there of the language barrier. Stop off at the essential oils shop and pickup something to sooth your mind and body. 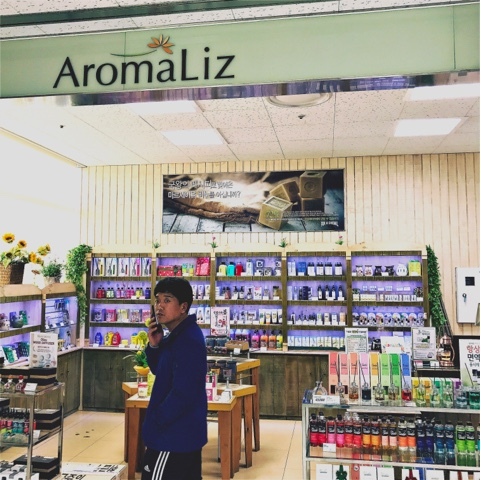 Essential oils are all the rage right now and you can get your fix at Lotte Mart. There may not be the selection you are used to back home, that can never be promised, but they have the greatest hits and that's what's important. 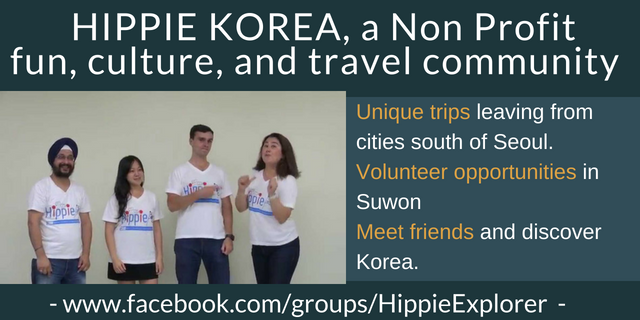 Want a cheap trip to Thailand or a weekend escape to Jeju? 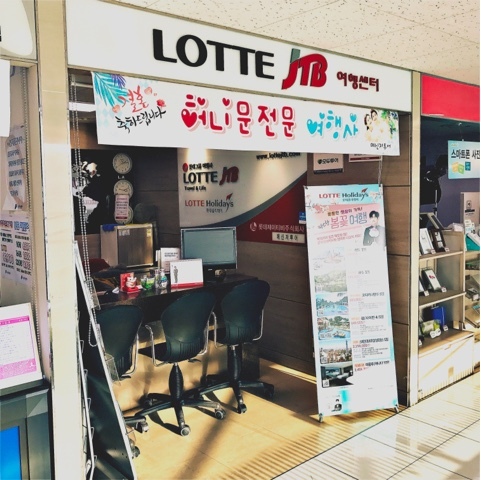 You can find amazing deals with Korean travel agents. Why not see if they have a little something that fits your schedule and budget? Sure, there is a language barrier, but if you are adventurous sometimes you can save a lot of money this way.